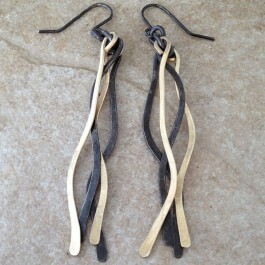 Hammered and oxidized sterling silver and 14K gold filled wires alternate to create wave-like elegant earrings. 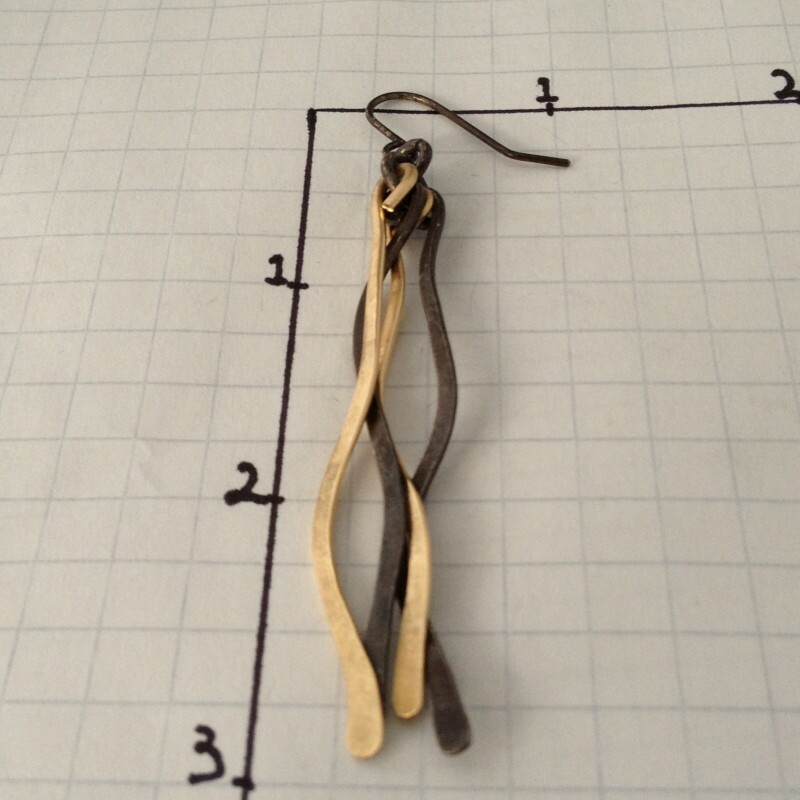 Sterling silver and 14K gold filled heavy gauge wires are curved and then hammered to create light weight earrings that sway with every move like waves. 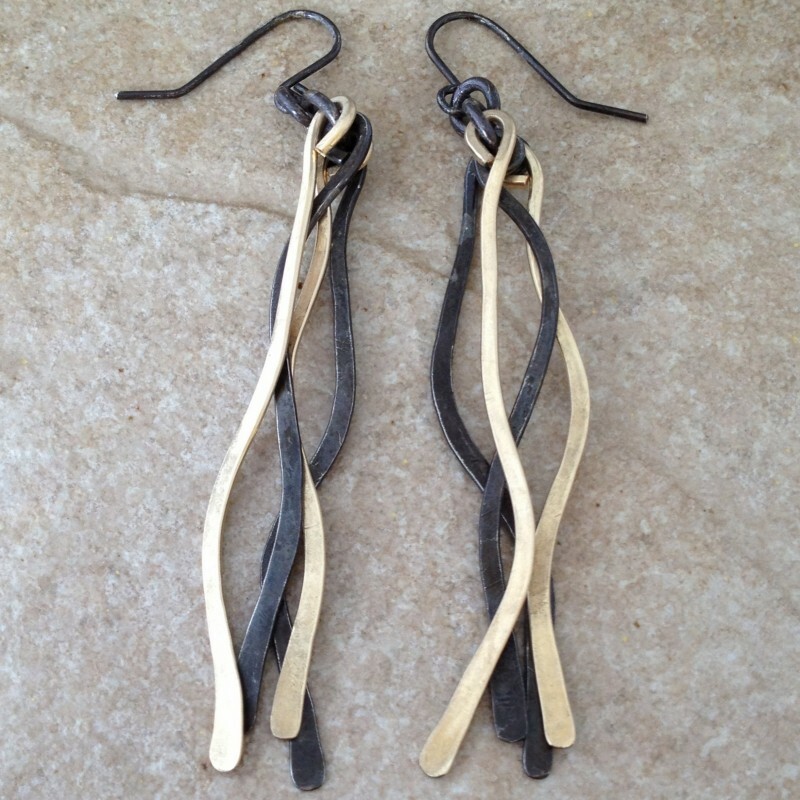 The contrast of the antiqued and oxidized sterling silver and the shimmering gold is elegant and flattering. About 3" long.